After much anticipation, Anton Page are pleased to bring 15-16 Dufferin Street to the market on behalf of Atlas Properties. 15-16 Dufferin Street is located prominently in the Old Street district, Clerkenwell. The area, commonly known as Tech City, is home to an ever growing list of tech and creative office/showroom tenants ranging from start-ups to well established international brands. Clerkenwell is also bursting with fashionable restaurants, bars, coffee shops and trendy boutique hotels. 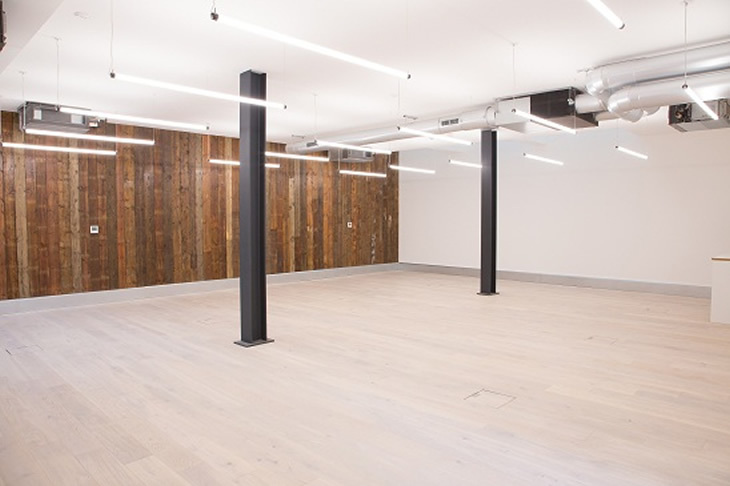 15-16 Dufferin Street is a former warehouse building and comprises of a total of 7,462 sq. ft. over 6 floors and has been thoroughly reimagined to provide stunning media style accommodation. The brand new refurbishment provides bright and contemporary space benefitting from excellent floor to ceiling height, exposed services, modern strip lighting, feature wooden wall, engineered wooden flooring, air conditioning, kitchenettes & showers. We have held several breakfast launches for the space, inviting local agents for a comprehensive tour and accompanying breakfast, all proving a success with incredible feedback. Contact us for more information and a viewing!